Dale Merten runs a small telephone and internet service provider in rural Washington state. He’s bullish on broadband but not as keen about the methodology of an internet speed study published in the Daily Yonder. Dale Merten saw something in the Daily Yonder last week that he didn’t like. In a perfect display of small-town civic engagement, he let us know. The Federal Communication Commission keeps a list of the maximum broadband speeds that each internet service provider offers in a census block. The speeds are self reported by ISPs, who submit the information to the FCC via Form 477. Critics see several problems with using Form 477 to generate a national map of broadband access. First it’s self-reported and not verified (this is changing, Merten says below); second, it reports the fastest possible speed available, with no consideration of how much that access might cost, which is another factor in whether people have adequate access; and third, the speed reported isn’t necessarily available across the entire census block, it only has to be available to at least one address in the block. The study published in the Daily Yonder was the first attempt, as far as we know, to compare the FCC data to national data developed independently of the FCC. The M-Lab data is the only dataset available, other than the FCC report, that attempts to quantify internet access speeds. But Merten said it is invalid to compare the two datasets because they report different things. FCC Form 477 reports the fastest speed a consumer could purchase. The M-Lab data reports the speed users actually obtain. So theoretically, Form 477 might say you can get 1 gigabit per second, but if you subscribe to only a 5 megabit package, your speed tests are going to be nowhere close to a gigabit. Merten and I spoke on the phone about his concerns. In the process, we got to talking about a lot of other stuff, too, as tends to happen at the Daily Yonder. So, here’s an edited transcript of our conversation. 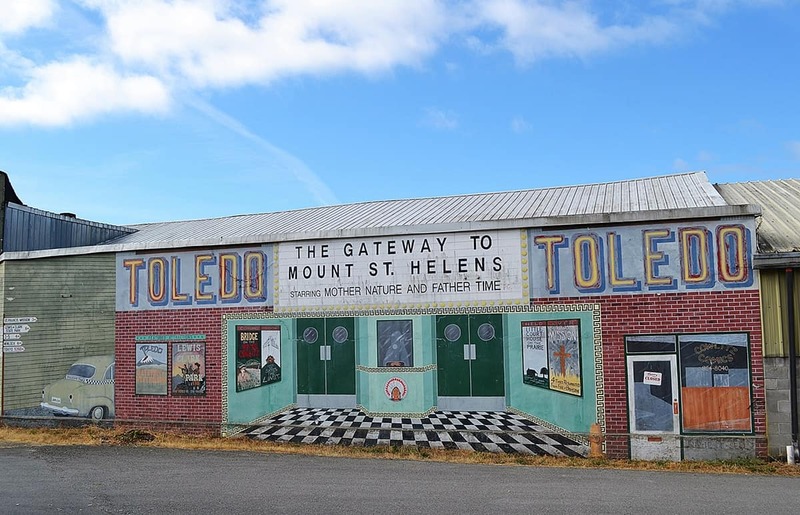 You’re going to learn about Toledo, Washington, the economics of providing broadband in rural areas, and the direct community impact that occurs when residents can get high-speed internet access. And you’re going to learn why Merten says the data in the M-Lab study has important limitations when it’s used to fact-check the FCC’s broadband map. Marema: Tell me about your community. Describe where you live and who you’re serving there. Merten: ToledoTel is located in Lewis County, Washington. We’re just east of Interstate 5, about four miles. Portland is to our south and Seattle is to our north, so large metropolitan cities are within an hour and a half, either direction, but the area we serve, the City of Toledo, has about 700 residents. We serve Toledo and 400 square miles around the city. We have a total of about 1,900 customers. Although we’re close to two very large cities, we are very rural. The area we serve really has no businesses. Our largest customer is the school district. We serve the bank and the two gas stations, but that’s about the extent of business. Marema: What are folks doing for a living there? 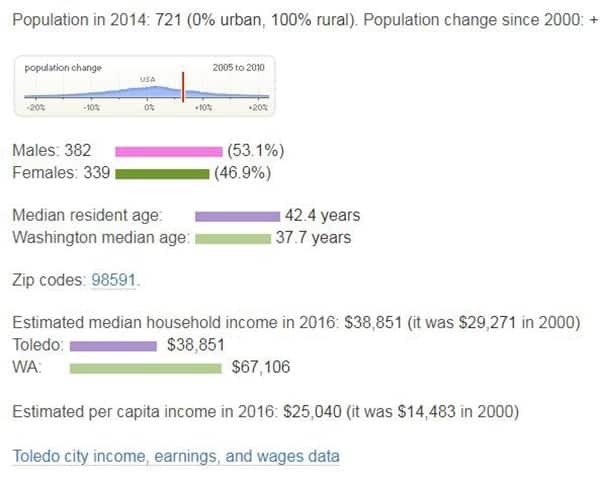 Merten: Well, up until just a few years ago, it was really kind of a retirement area because rural property is less expensive, so people would retire and put up a modest home and live out their days. But in 2016, we completed a fiber to the home overbuild, so we completely overbuilt our old copper network with fiber to 100% of the tax parcels in our service area, whether there’s a house on them or not. And that has really changed the dynamics of what we’re seeing now. Prior to 2016, we’d see maybe one or two new homes being built a year. Since 2016, we’re seeing about 35 new homes a year being built as everybody’s moving here because of the fiber. They’re telecommuters. Marema: So, people are saying, “I want to live here and I’m able to live here because I’ve got that high speed connection.” You’re hearing that? Let’s talk about the economic impact of fiber right here in Toledo. So, one of the problems we’ve had historically is we’ve been sort of a retirement community, and that means that our schools … we’re seeing fewer and fewer students. And the way the school funding works in Washington is if you lose students, you lose funding. So, with the people that are moving to the area now, they have completely changed that dynamic 180 degrees because these are working families with school-aged children. So, it’s bringing the level of enrollment back up [by approximately 6%] and it’s on a positive trajectory, which is great for the schools, great for the kids, great for the community. And I know, we’ve got a couple developers that have moved into the area, and they are buying up property and building nice homes. And this is a property anywhere from a lot to you know, an acre or two to 10 to 20 acres. So, they’re building homes accordingly to the size to parcel, and they’re selling them as fast as they can build them. And their plan is to continue to do that for the next four or five years. Marema: So, let’s talk about the article by Brian Whitacre, Sharon Strover and Colin Rhinesmith. You said that it didn’t reflect the reality of the speeds available in your community. Why is that? Merten: I got on the M-Lab website, and I looked at the test results that I believe were for us. … For Toledo, Washington, the max speed [reported in the M-Lab speed tests] was 16 Megabits per second download, and the average was probably about six [Mbps]. But as I mentioned in my email, everybody [served by the network] has access to a gigabit if they want to subscribe to a gigabit. Marema: If somebody is not paying for a gigabit, then obviously their test result when they test their speed is not going to be a gigabit. So, do you feel like they’re comparing apples and oranges in the way the study uses the data? Merten: I do indeed. You know, we advertise a gigabit, but the M-Lab data represents it as we’re not coming anywhere close to meeting that. EDITOR’S NOTE: Georgia Bullen at M-Lab said the M-Lab speed test cannot track a user’s subscription speed – the speed of the broadband service they are paying for. So a user’s speed would not necessarily correspond to the speed the ISP reports to the FCC, since the speed the IPS reports is the maximum available speed. Marema: Are there other potential causes of what might affect a speed test and how it might be different from what is recorded in the FCC report versus what a speed test would be? You mentioned something about the configuration of home networks, for example. Merten: Yes. Absolutely. So, our customers beat up on us all the time for this exact reason, you know? They’ll say, “Look. I’m subscribed to 10 megs. I’m doing a speed test, and I’m only getting six.” … We have the ability through our network equipment, we can log in to their router at home, and we can see that they’ve got 17 wifi devices connected, and there’s four Android phones all doing updates at the same time, and they’re doing a speed test off of a six-year-old PC via wifi. That’s why you’re going to see poor results [because other devices on the home network are competing to use the home network’s connection to the internet]. Marema: You compared the M-Lab system to speedtest.net and got some very different results. Tell me about that. Marema: But you agree that the nation needs to know how well specific places are served by broadband companies. Is it possible to quantify what’s happening nationally? Or is there a better way that we could be doing this to know how it’s going for people, especially in rural areas? Merten: Yes. So, the FCC I think made a good decision just recently where they are requiring all rate-of-return carriers and Connect America Fund II carriers that participate in the Federal Universal Service High Cost Program … to actually go out on premises and do speed tests and report that data along with our [Form] 477 to the FCC. And that information is subject to audit. So, I’m going to make sure my data’s accurate because I don’t want the FCC coming back and auditing me and fining me. Marema: So, this is a way to check the truthfulness of that 477 number so that somebody’s not just making up a speed and reporting it to the FCC? I think it’s important that the FCC do this and I’m glad that they’re taking the lead on this, but the data that M-Lab represents is invalid. So, that’s where the waters get real muddy. And from a consumer’s perspective, if they begin to rely on organizations like M-Lab that may have flawed data acquisition models, it inflames the situation. 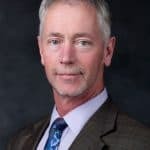 EDITOR’S NOTE: Bullen said that M-Lab’s data acquisition is not flawed and that the project actively collaborates with researchers, who have produced peer-reviewed academic journal articles with the data. The data and the measurement tools are public, making it the only open-source data set available on broadband speeds, Whitacre said. Marema: Tell me how you built out. What is your business model and how were you able to get fiber to the home in an area as rural as yours? Merten: We are a rural telephone provider in a high cost area, and we qualify for a fund, a Universal Service Fund, that helps offset the costs of operating and building our networks. It was a law that passed in 1934 that assures that anyone living in a rural area has telecommunications compatible to their urban counterparts at a reasonably comparable prices. And because we have less than 2000 customers, without a program like that, we wouldn’t exist. So, we built our network out with an $18 million loan we received through USDA and it’s a program set up for rural utility service providers such as ToledoTel. It was a five-year project; we completed it in four years. And we were four million dollars under budget. So, that’s good news. Bad news is, it’s a 20-year loan we have to pay back. So, the Universal Service Fund is really what allows us to be able to provide fiber to the home at reasonably comparable prices. We are higher than Google Fiber; can’t compete with those folks, but that’s how it all works. Marema: Do you think there’s a difference between a tel-co like yours that’s specifically focused on a rural place and is very local and a larger, national entity that has mostly urban customers and some rural on the side? Merten: I do. I do. And the primary reason is, most rural companies, small rural companies, independent tele cos like ToledoTel do not report to shareholders. We report to our customers. So, for the larger companies that are publicly traded, they have different motivations that, you know, they have a quarterly call and they have to keep the shareholders happy. So, I can do what works best in that business model, and I will agree that they’re not building out the rural areas as well as we are and as well as they could be and perhaps as well as they should be. We are surrounded by one of those companies, and we get phone calls from their customers daily begging us to come serve them. And we would if we could afford to build to them, but once we get outside of our service territory, none of those federal funds are available. Marema: So, tell me about your pricing structure, then. You said you had to charge more than say, Google Fiber or something like that. But, what’s a package look like for a homeowner? Merten: Hang on a second. I’ll open up the website. Marema: Oh, you’ve got it right there for everyone to see? You mean, I don’t have to haggle with you?